Ideal for hot and cold foods. From Barbeque and fried chicken to casseroles and salads. BioSelect Bagasse plates and bowls will hold up to any item on the buffet table. Bagasse is the standard for outdoor events, take-out and buffets. Bagasse dinnerware is made from sugarcane stalks naturally left behind when all the sugars have been extracted. It is the ultimate naturally recycled earth friendly product. Enjoy serving your guests and customers on a strong attractive product that is made from plants as natural as the foods we eat. 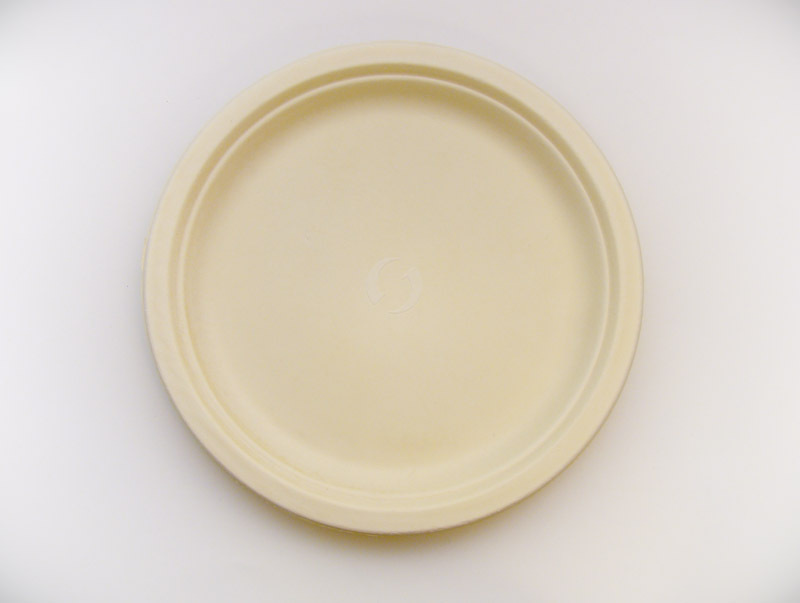 BioSelect Bagasse Plates are available in Round sizes: 6â€, 7â€, 9â€, 9â€-3 compartment, 10â€, 10â€-3 compartment and Oval sizes 7.5â€ x 10â€ and 10â€ x 12.5â€. These are the best quality available and made from natural sugarcane and bamboo. Our BioSelect Bagasse Plates are 100% biodegradable and 100% compostable. Depending on the amount of hot liquids, condensation can form on the bottom. Because bagasse is a natural product of sugar cane and bamboo, color variations are normal. Products related to "BA06 6" Bagasse Plate"
with any order over $99!